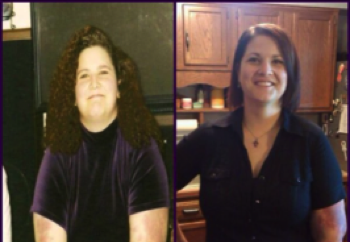 For Cgilbert16, losing weight is more than just dieting. He made a commitment to change his lifestyle to include healthier eating habits, exercise, and the right mindset, which helped him lose 55 pounds. I have always enjoyed lifting but I had also always enjoyed eating. Even though I worked out four times a week I kept gaining weight and telling myself that “muscle weighs more than fat” when really I was just getting fat. I started to get depressed about my appearance and sensitive about my weight. My wife and I became pregnant which made me start to take a hard look at myself and the way I was living. I started to get serious right when my daughter was born and I started to see just how much energy I did not have and started to really take a look at my lifestyle. 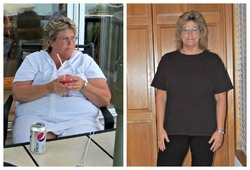 I decided that I wanted to live forever and the way to do that was to get mobile and to get healthy! 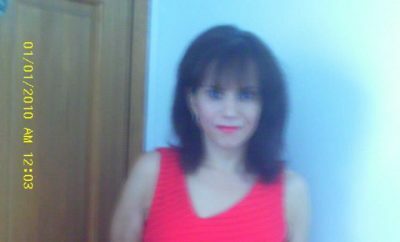 I did Atkins for a while but I did not like the fact that if I ate anything outside of the diet I gained 5 plus pounds immediately. If your diet cannot withstand a little indulgence every once and a while then you are doing something wrong. I have found that diets are just temporary paths to reach a goal when what I always wanted was a lifestyle that would allow me to be healthy internally and externally for life. I started doing more cardio at the gym along with my weight training. I also stopped drinking almost completely. I went from heavy weekend drinking to a beer or two every once in a while. That gave me a larger edge then I thought because when you are drinking, or the next day, you have a hard time controlling what you eat. Drinking changes how you think about everything but most importantly it changes how feel about what you consume. Drinking will also hurt you in the gym. It can and will stunt muscle growth and can cause fatigue to happen faster. Calorie Count helped me to make sure that I not only stayed on track calorie wise but allowed me to monitor my overall nutrition to make sure I was getting everything I needed in my diet. I was able to see what mistakes I was making and make better decisions. When you are about to go somewhere that might tempt you to make poor eating decisions Calorie Count can help you to see the bad decisions and show you better ones. I call it “Restaurant Recon” and it has helped both me and my wife make better decisions. People in your life are like little devils. They do not mean to be but they are. You do not have to be a “Psycho Dieter” but you do need to be aware of what you are doing. Your friends and family may not see the big deal with having fast food for breakfast and lunch and then going out to dinner at a pizza buffet while on vacation but you have to realize that it is not a good idea and steer clear. You do have to be your own cheerleader and your own coach a lot of times. I tell my family when they offer me a slice of cake that is really 3 serving sizes and has 45 ingredients which only two are actually pronounceable that I don’t want any but that I appreciate it. Remember that you are doing something wonderful for yourself even if there are others who do not think so. A lot of people think food brings happiness but it does not and you do not need it to make you happy. It was pretty instant as I have always worked out some. I saw the first 5 pounds drop off in about a week or two. After that I became addicted. I started spending more time at the gym and researching what I was doing at the gym to make sure I was doing it correctly and to get ideas of how to do it better. I actually started using Calorie Count in March 2010 and that is when the biggest results started happening. When I was able to see my abs. I had always convinced myself that my muscles could only get a certain size and that I could only be a certain weight because of genetics. Once I really started investing time into myself I was able to see that I was wrong and that I am only limited by how hard I am willing to work. I really realized that I was a success when I was river rafting with some coworkers and I took my shirt off and was not embarrassed by myself instead I was proud. I had never felt that before. I prevent relapses by staying focused on what I eat and how good I feel. The key thing is that I do not want to eat like I used to anymore. Since I got serious about my health none of the things that used to appeal to me do anymore. 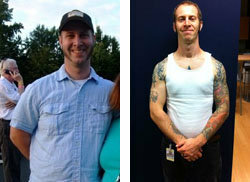 I focused on a complete lifestyle change; losing weight was just a result of the change. I am happy, not just because I have a wonderful wife and beautiful daughter but because I am healthy enough to be a father and husband to them. I never knew how much time I wasted being unhealthy and how bad I felt until I got healthy and I started to feel good. It really is true that you never know how bad you feel until you see what it is like to feel good. I will never go back again. 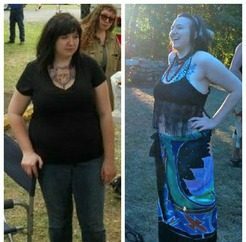 Changing my lifestyle has done nothing but make me a happier person and allowed me to live a life I never thought was possible. You just have to remember that you are the only one holding you back and once you overcome that hurtle there is really nothing that can stop you! Do not justify bad habits. You know that if you had to think about it then you probably should not be doing it. Work out! In order to lose weight you have to be burning more then you are taking in. This does not mean that you should drop your calorie intake down so far that you can sit on your backside all day and loss weight. It should be a call to get active!! Losing weight does not have to be so hard, just find something that you enjoy to do that gets you moving and do it. Push yourself and gain victories. Everyone that I know who has failed at losing weight or gaining muscle has not been willing to get out there and work. You have to set goals for yourself and break personal barriers to see results. Either way you want to do it you have to find what drives you and you have to keep it moving. Get emotional! You should be excited about health because being healthy is exciting!! Do research on exercises you are interested in trying. Look up healthy fun recipes and try new things. Make being healthy fun or you will not succeed. Read the label all the way through. Pay very close attention to serving sizes. You may think that you are eating something healthy but what you did not know that you had 4 of the recommended servings therefore sabotaging your entire day. When I look for products to eat I make sure that if I am going to spend some of my daily calories on it I am getting a good portion. For example, everyone harps on eating turkey bacon but the serving size of turkey bacon is 1 strip when a good low fat bacon has the same calories per serving and a serving size is 3 strips.